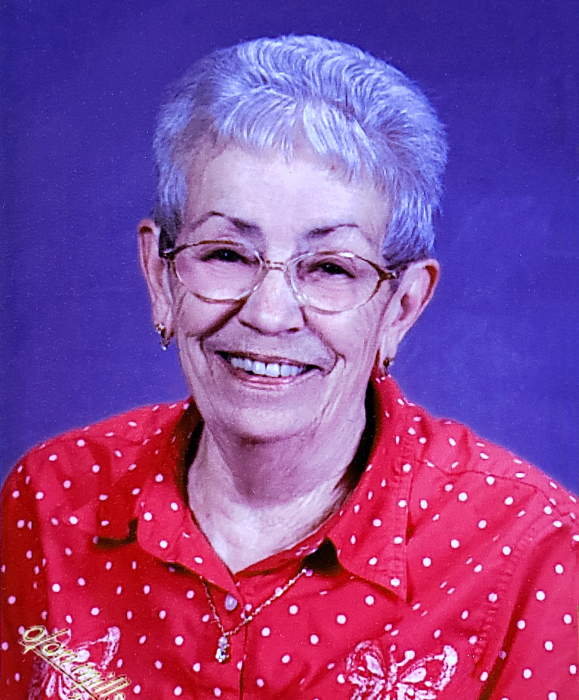 Sharlene Ann (Neumann, Valeen, Montgomery) Cole died on Friday, January 11, 2019 at her home in Baker City. A Memorial Service will be held (time and date to be announced). Sharlene Ann Cole was born August 7, 1932 in Kalamazoo, Michigan, to Dorothy Ollie Neumann. Sharlene did a lot of traveling as a child. She moved to Oregon from California when she was eight years old and has lived in Oregon ever since. She attended school at Pilot Rock, a small community outside of Pendleton, OR. It was there that she met her first husband Vernon E. Montgomery in 1947 with whom she had two children; Robert V. Montgomery, Harpster, ID, and Brenda Lee Montgomery-Dickison, residing in Baker City, OR. After the marriage with Mr. Montgomery was dissolved, Sharlene met her second husband, Raymond George Cole in a logging camp where she was staying with her two children at the time. They fell in love and were married on April 3rd, 1953 in Pendleton, OR. They went on to have four children from that marriage which lasted a good long 46 years, with son Randy R. Cole, son Rance Everett Cole, who died of complications shortly after birth, son Richard Andrew Cole, and Elizabeth Ollie Cole-Thompson, who lived with Sharlene for these last five years at her home in Baker City, serving also in the last two years as her loving caretaker. Sharlene was a born-again Christian and loved the Lord with all her heart. As a member of the Calvary Baptist Church in Baker City for many years, she and Jack supported both individual missionaries as well as mission work in general. She and Jack Cole were also very involved in visiting the New Tribes missionary group stationed north of Baker City, when they came to her town, and supporting them in their world mission vision. Sharlene greatly enjoyed and excelled at creating a loving home for her family. This included extensive yard work, planting and maintaining a large garden each year, hunting with her husband during deer and elk season, as well as mining gold on the 20 acre patented family gold mine on Elk Creek, south of Baker City which her parents had acquired. Speaking of Elks, she and her husband were members of both the Vets and Elks Clubs in Baker, City. She kept in shape by being a member of TOPS, a popular weight loss program, where she also rose through the years in awarded recognition. As a mother who spent hours in the kitchen cooking and baking - sometimes up to 40 loaves of bread, rolls, doughnuts, pies and cakes and more, a large portion of which landed in the freezer for the family to draw from as needed - Sharlene also added another recipient to her baking regimen… the Baker City Fire Department. After a fire in an adjoining shop threatened to destroy part of the Cole’s renovated and rebuilt home, the fire department responded to the emergency and was able to put it out just in time. This happened twice. In overwhelming gratitude, Sharlene then took it upon herself to deliver fresh baked bread, pies and other goods to the firehouse after every baking session. As if that did not keep her busy enough, she was also an Avon representative for 18 years, which allowed her to find and keep friendships and acquaintances throughout the community. She also owned and ran the Paper Book Exchange for 5 years – which her family believes was just a way to feed her voracious reading habits. Speaking of reading, she spent her latter years, when the body was not able to move as easily, literally consuming mystery and murder books, including true life and historical novels with every waking moment. Another time-consuming habit that she practiced for over 40 years was that of writing a detailed journal every single day of the year, rarely missing an entry. She was preceded in death by her son Rance E. Cole (infant death), her parents Dorothy Ollie Neumann, Valleen, Eckleberry, father Howard P. Valeen and step father Malcom Frank Eckleberry and her husband of 47 years, Raymond G. Cole, who died June, 4th of 1999. Besides her 5 children, she is survived by numerous grandchildren and great grandchildren and special friend Dagmar Cole. Her life verse was Philippians 1:6, “Being confident of this very thing, that he which hath begun good work in you will perform it until the day of Jesus Christ”. Her favorite color(s) was red and black, with her favorite flower being the rose. Her motto was simply to try and “live for the Lord”, doing her best to represent him with her life.